DutyMan will be offline tomorrow, Wednesday 29th October, from 1200 GMT to approximately 1300 GMT for routine maintenance. Have you lost a phone ? We can’t tell you what sort of phone it is, however a group of people earlier were on the front green (east side) of the dinghy park and could hear a phone ringing, but couldn’t find it. So if you was around that area and you have lost one then it is worth going down and having a look. Assuming the battery is not flat then you could phone it once there, in the dark, to get the screen to glow, making it easier to find. Important information for the Winter Series which starts this weekend. Have a read and make sure you know what the format is before you get to the start line. 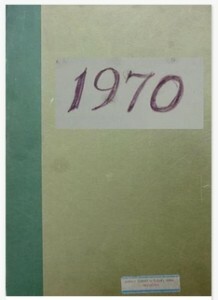 It all here in the TBYC Scrapbook of 1970. 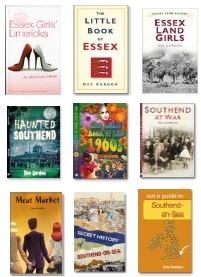 Dee Gordon, A Southend Writer will be with us on Tuesday 28th October 7.30 to 8pm start. Dee will be giving us an overview of her books. Chris Boshier won a recent Contender Open at Downs SC during some testing conditions. He had a camera on his boat and edited highlights are now available. Note: all activities are provisional dates and subject to change.